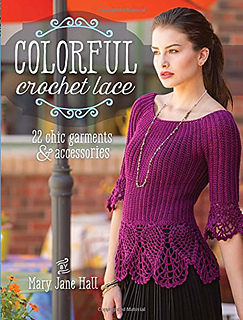 Outstanding Crochet: Heads - up on tomorrow's Mary Jane Hall blog tour and promotional give-away! Heads - up on tomorrow's Mary Jane Hall blog tour and promotional give-away! Find out about Mary Jane's strangest source of inspiration, her singing career and a collection of 300 books ... on what subject? All in her interview tomorrow! Do not miss tomorrow post. It might me if you leave a comment under today's post! Please, check it out! Thank you for your interest!!! Me, me, me. I'd love the book. All those patterns are beautiful. Eu gostaria de saber como se faz.... a receita. Obrigada.